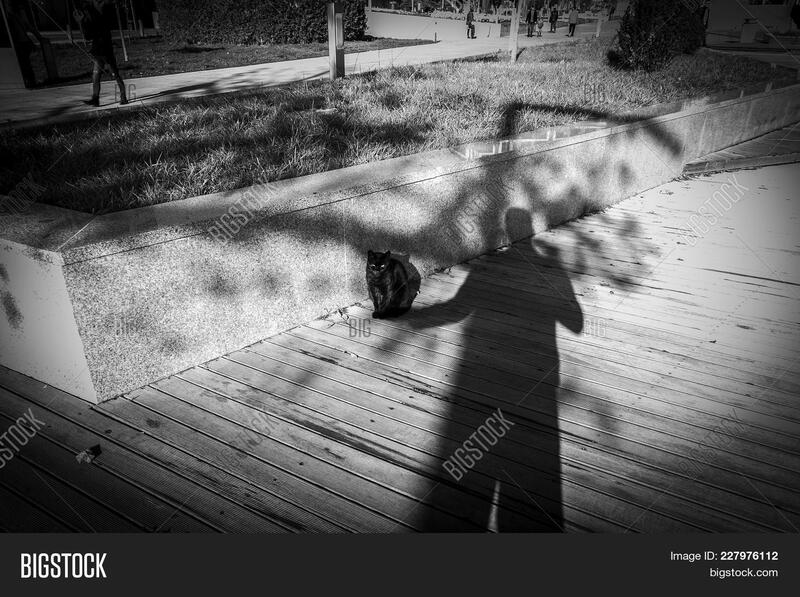 photographer uses his shadow to catch a kitten street. 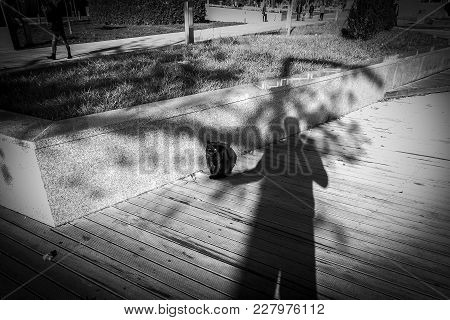 cat sitting in the shadow of a man. magnificent light and marvelous shadows in street photography in black and white.